The client owned a property in Oakland where her adult son and grandson lived. She lived in Wyoming at the time but was ready to downsize to a smaller footprint, and wanted to be part of the family's day-to-day. The home was designed for aging-in-place, which meant no tiny house ladders or lofts. 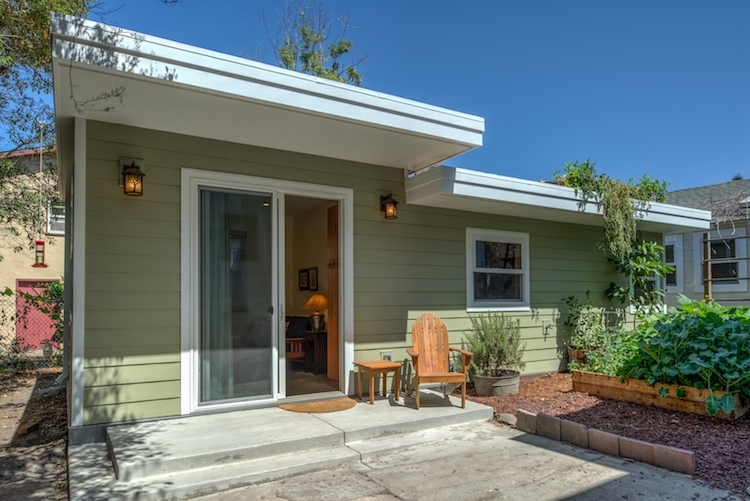 The ADU was designed with zero threshold transitions, contrasting floors and counters, a roll in shower, and many more features to accommodate aging-in-place. Environmental impact and low maintenance design was also a priority. The ADU would take the place of the existing garden and losing the garden space was a concern. Therefore, the roof was engineered to support a container garden to make up for the loss of yard for gardening. 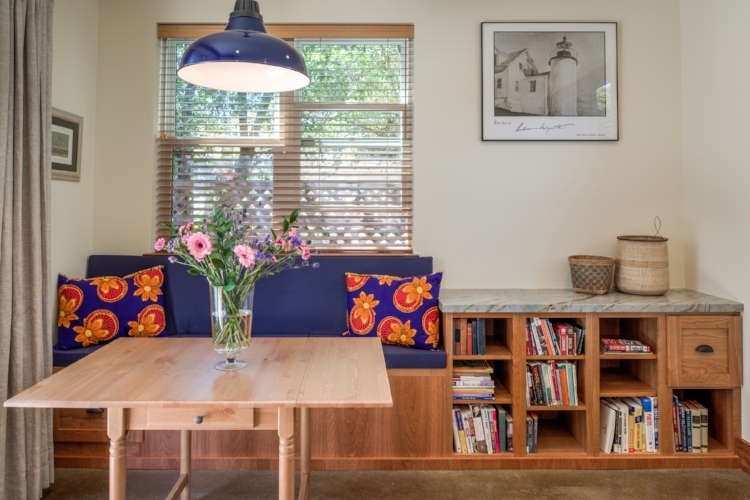 This beautiful "Accessory Dwelling Unit" or ADU was a fantastic collaboration between local architect Carrie Shores of Inspired Independence and HDR Remodeling. This sun-filled tiny home features a thoughtfully designed layout with natural flow past a small front porch through the front sliding door and into a lovely living room with tall ceilings and lots of storage. The galley kitchen is designed to make efficient use of space while maintaining the feel of a traditional home. 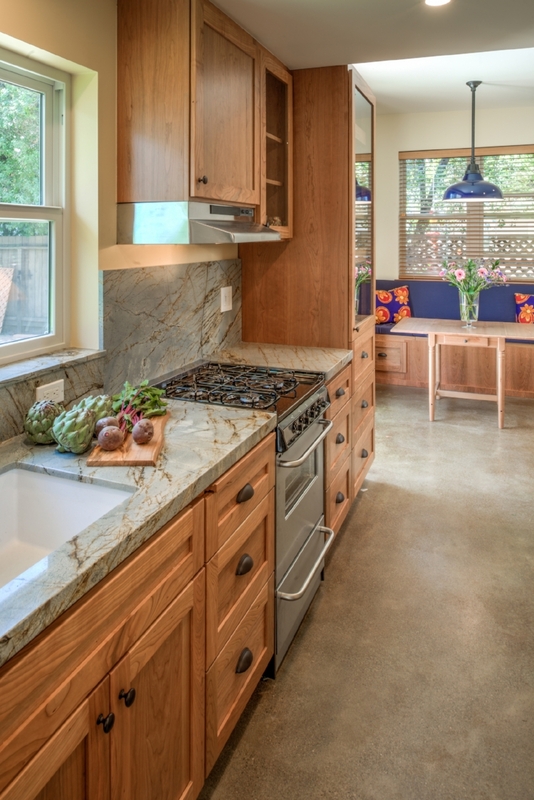 The wood cabinetry, stone countertops, and stainless steel appliances add an element of luxury to the small space. A stackable washer/dryer unit tucked away in the kitchen corridor makes the home a truly self-contained living space. The bathroom features a full sized walk-in shower with stunning eclectic tile and beautiful finishes. 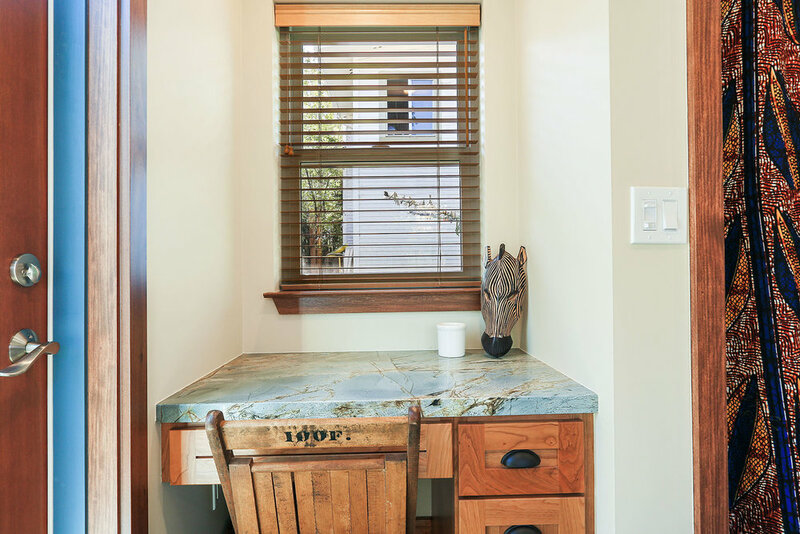 The bedroom features a built in desk as well as a private entrance leading out to the garden. 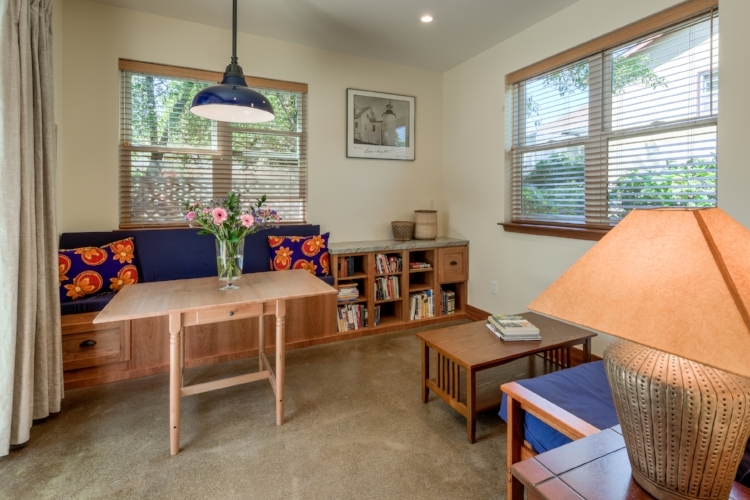 Some of our favorite 'Green Building' features of the home include the use of high quality non-toxic recycled blue jean insulation, radiant heat beneath the concrete flooring, and a future green roof - all of which create greater energy efficiency.